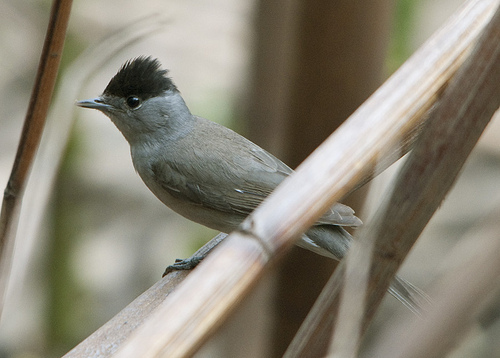 The Blackcap is a small, somewhat pale-grey bird, with a beautiful song. The song lasts a shorter while than a Garden Warbler's, but is very much alike. The male has a black crown, the female has a brown crown. The Garden Warbler is greyish brown. 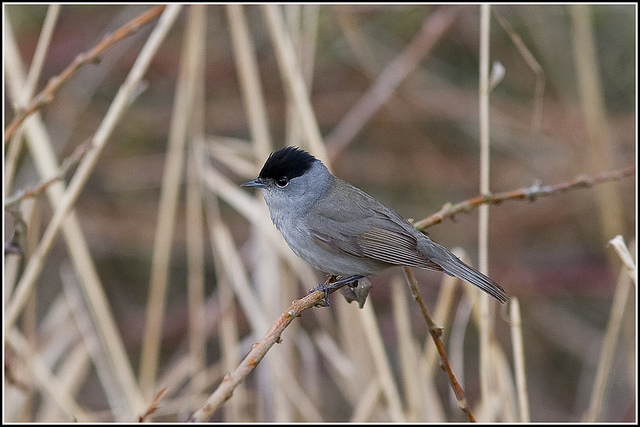 The Blackcap has a striking black crown (male) or brown crown (female).